When it comes to DIY decorations, garlands are one of the easiest way to brighten up a dull space or prepare for a party. I’ve been making them so often lately, I’m well on my way to having a collection of DIY garlands for every occasion! I’ve put together a list of a few great tutorials here, so that you can start your own collection as well. There are holiday themed ones, rustic ones, paper ones, crocheted ones and more. Garlands aren’t just for special holidays and parties. Some of these are subtle and versatile enough that they could be used for simple room decorations, or to drape above a baby’s bed. Make smaller versions and use them to decorate gifts or Christmas trees. No matter what your crafting level, there is a DIY garland that you can complete. 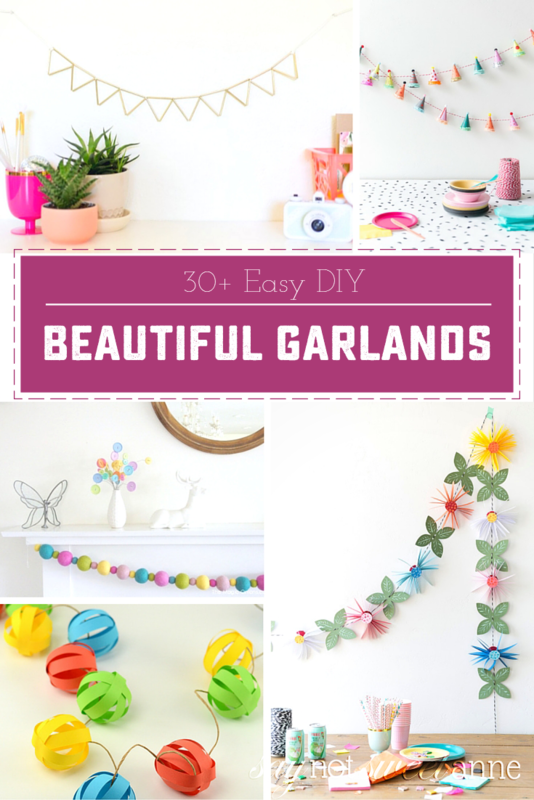 Do you have a perfect go-to DIY garland tutorial that I missed in my list? I’d love to see it! I mean, eventually I’ll make it through all 30 of these and then I’ll need new garlands to add to my collection!